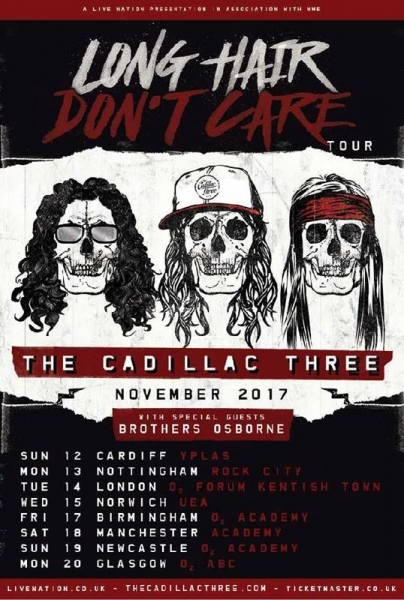 The Cadillac Three performing their Long Hair Don’t Care Tour at Rock City Nottingham on Monday 13th November 2017. 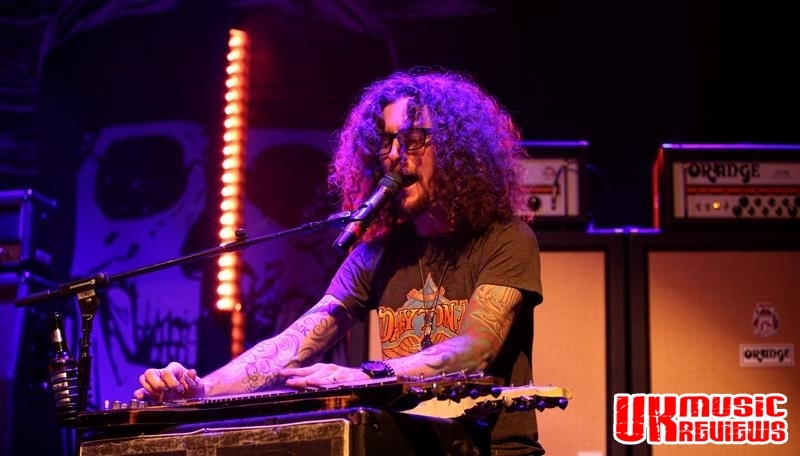 The Cadillac Three rolled into town last night and it was a packed Rock City who turned out to greet them. 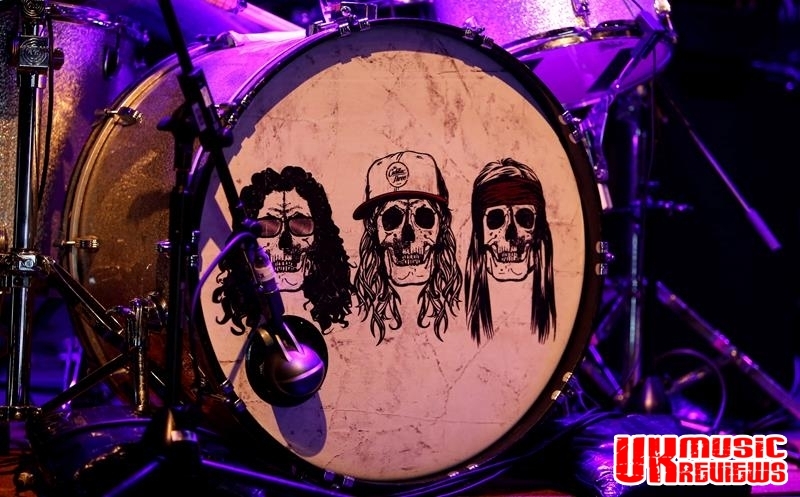 Whilst this trio originate from Nashville and cut their teeth in the traditional honky tonks, what they deliver is a far cry from good old country music. 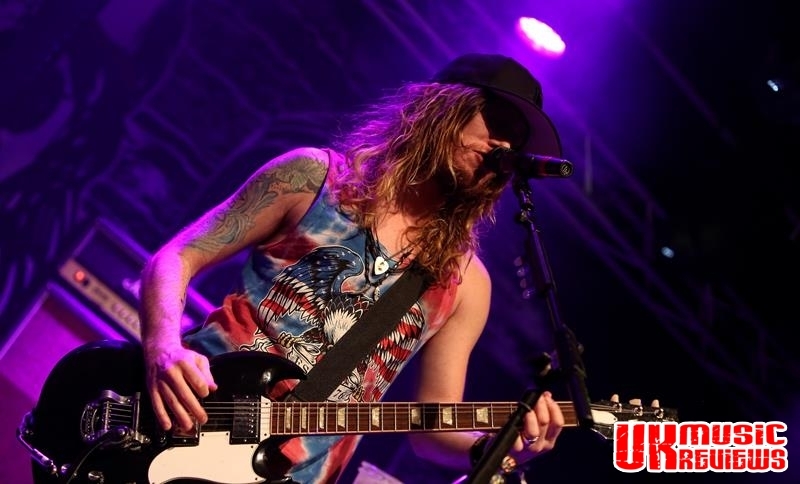 Sometimes it was downright dirty rock and roll; sometimes a little country and other times southern rock. 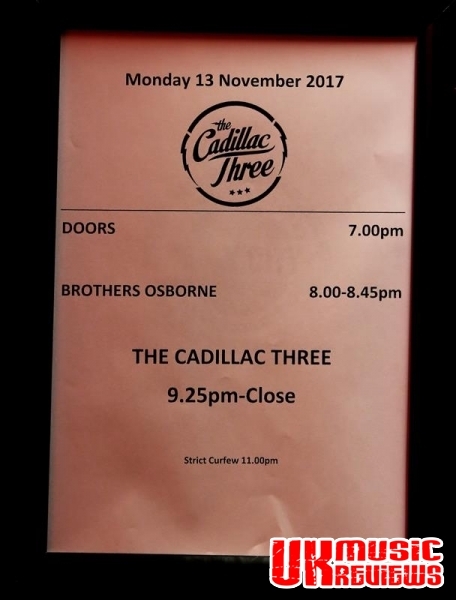 But to see TC3 live is to appreciate what three outstanding musicians can deliver. 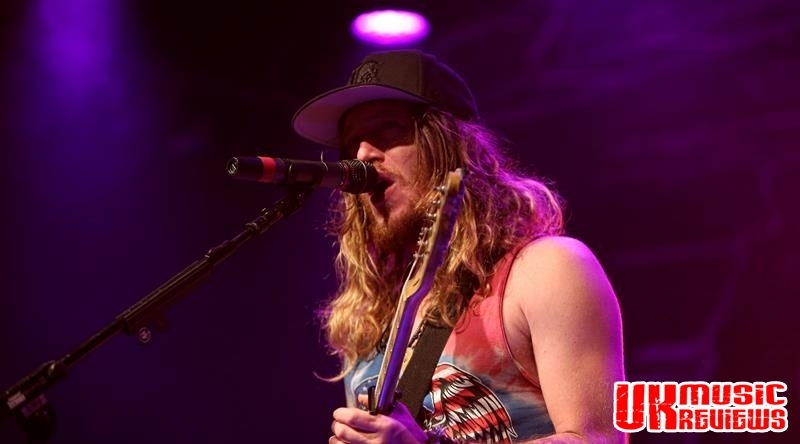 Lead vocalist Jaren Johnston is all about the guitar, Neil Mason takes charge of the drums and Kelby Ray works his magic and pulls it all together on his lap steel guitar. It sounds very simple but the experience is something else completely. Touring to promote their latest album Legacy, it was songs from their second album, Bury Me In My Boots that got the evening started. The swaggering Peace Love & Dixie and Slide went down a storm. 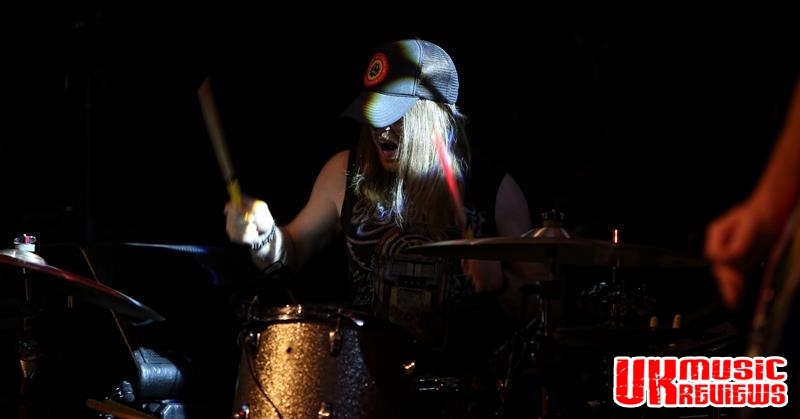 There was the fantastically gritty drawn out and dirty version of Tennessee Mojo and Back It Up from their debut album had the crowd singing out loud. Running Red Lights was a stunner of a song which showcased Johnston’s vocals and Graffiti was an ideal song to just stand and admire the man’s vocal prowess. 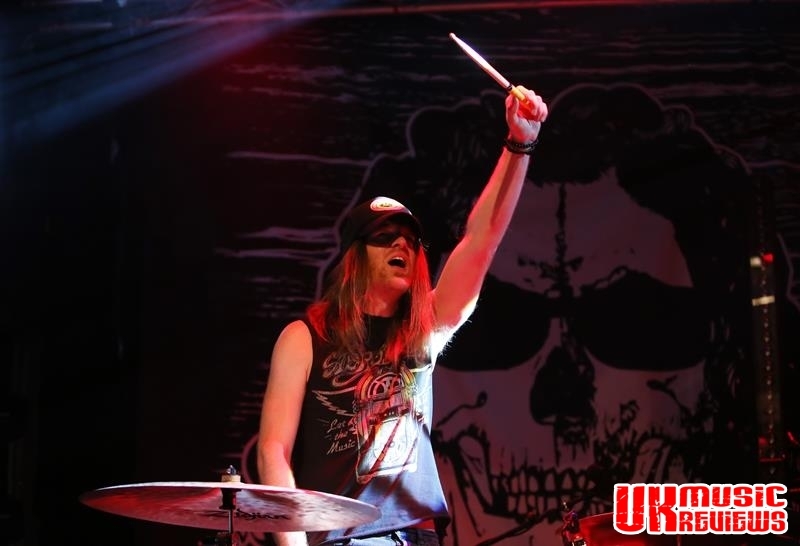 Songs like the groove fuelled Demolition Man and the stomping Tennessee showed off Mason’s drumming skills but it was Ray’s slide guitar playing that provided the backdrop to TC3’s sound. Whiskey Soaked Redemption got the crowd singing along and with the start of the iconic vocal introduction to the slowed down White Lightning, the crowd went wild. Rounding the evening off with new song American Slang, they left Rock City with a song that is all about their home and where they come from; The South.